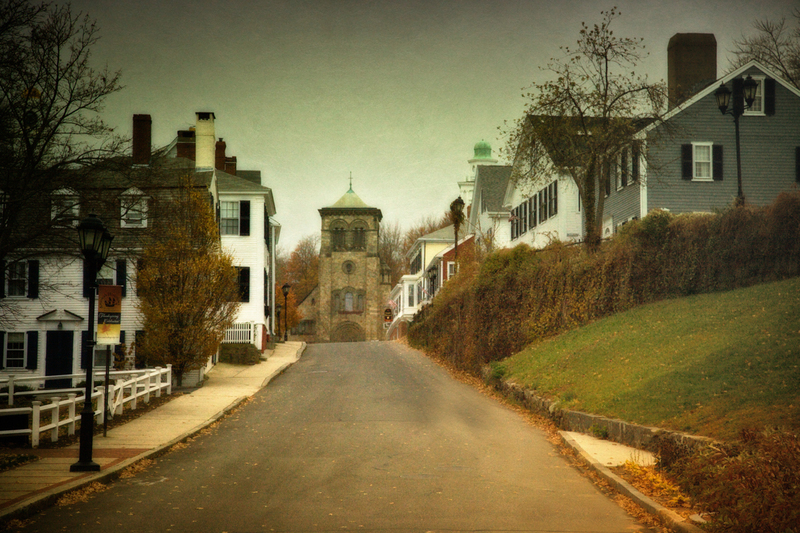 Haunted Plymouth has been known as America’s hometown over more than four centuries, and its history stretches back even further than that. Ghosts and hauntings seem to attach themselves to locations over time … houses, buildings of all sorts, even woods and entire towns. Plymouth has seen its share of real life horror stories, and so is a perfect place to find the supernatural. One of the first places Europeans carved out a settlement in the new world, such a venture was bound from the start to be host to the type of macabre events which those who move into a new territory inevitably find themselves up against. Little did those first pilgrims realize the darkness which already lay over the abandoned Indian village, populated only with bones and skulls, which they chose to make their home. European captains visiting the shore of north America prior to settlement would often take native Americans prisoners to later sell as slaves. In 1614, a number of Wampanoag men were taken prisoner by the explorer Thomas Hunt and sold as slaves in Spain. One of the slaves, Tisquantum was eventually freed and travelled to England, working for a number of years as a shipbuilder. 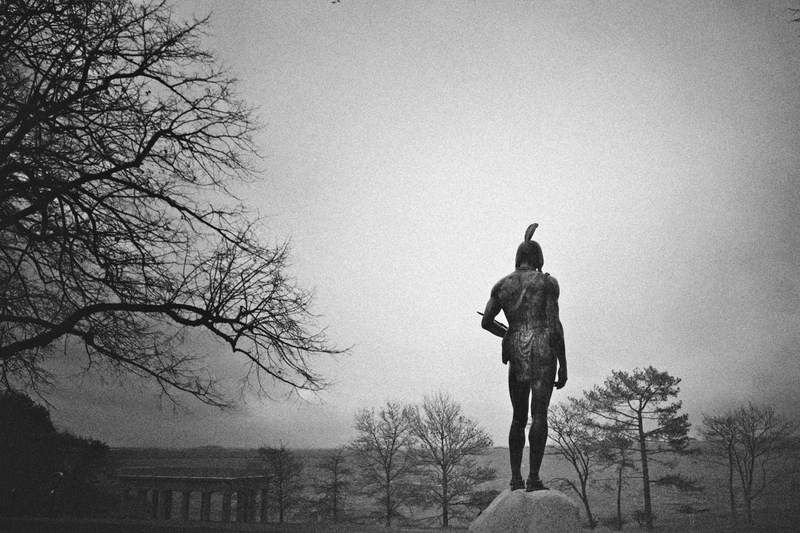 During his time in Europe, Tisquantum became known as Squanto, the name which he’s most remembered in history. Looking to find his way home, and now fluent in English, he got the position of interpreter for an expedition, led by explorer Capt. Robert Gorges. While in New England, the captain and his crew were killed by Chief Massasoit, and his Wampanoag men, who spared Squanto. Once free he made his way back to his home, a village called Pawtuxet which lay where modern day Plymouth now stands. When he arrived at Pawtuxet, he found the entire village empty, having been decimated in his absence, from the plagues between 1614 and 1620 which wiped out much of the native American tribes in New England and the Maritimes. Haunted Plymouth harbor at sunrise. Like many maritime centers in New England, the harbor is the setting and embarkment point for many tales of ghosts and the macabre. The people we call the Pilgrims, who founded Plymouth, Mass were religious separatists, led by William Bradford. He applied for and received a land patent which gave them a claim at the mouth of the Hudson River, at present day New York City. The Pilgrims, having recently fled from Holland as they didn’t care for their way of life, intended on settling a bit further north however than the Dutch colony at New Amsterdam. But fate, and strong winter gales blew them a bit further north than they planned. In addition to the Pilgrims, the group consisted of men looking for a new start and who would be useful in carving out their survival in the mostly unexplored North American wilderness. Their military leader was Miles Standish, a name familiar to most grade school students in their study of the first Thanksgiving, and whose decisions would have disastrous and often fatal consequences for relations between the colony and the native Americans. Two ships originally set out for north America, the Mayflower and the Speedwell. The Speedwell however didn’t live up to its name, causing the journey to be launched in dribs and drabs, as they had to return to port more than once for repairs, before finally giving up on the vessel entirely. The consequences of this was grave, as it meant they would be taking half of their journey during fierce winter gales, and would be forced to stay on the Mayflower for most of the first winter after arriving, as there wouldn’t be time to build the village before bad weather set in. It also led to an overburdened ship, which suffered from overcrowding and a lack of supplies. Their supplies had been further reduced by the need to sell them to raise money for the Speedwell’s repairs. Of the 132 people crammed into the Mayflower’s 106 foot long hull which finally set sail across the Atlantic, only one died during the crossing. 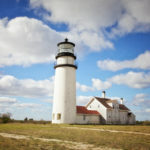 Two months later they sighted land off Cape Cod, and on November 11, 1620 dropped anchor off what is now Provincetown. Miles Standish led the first expeditions ashore, finding some native American graves which they disturbed and made off with the corn left for the dead. On another expedition they fired upon the local tribespeople in what is called The First Encounter. Fearing they’d already gotten off on a bad foot, having fired upon the Indians and desecrated their graves, and not particularly happy with the look of the land, the Mayflower set off again. While in anchor however, tragedy had befallen the group, as the wife of William Bradford, the 23 year old Dorothy had fallen overboard and quickly drowned, pulled under by the heavy weight of her skirts in the frigid sea. A short story later made claim that it was due to guilt over an affair she was having, and her death was a suicide. This is of course, absolute poppycock. There simply was no place on board the Mayflower to even have a clandestine affair. Leyden street in haunted Plymouth today, still showing signs of the original layout of Plimoth Plantation. On December 16, 1620, The Mayflower entered Plymouth harbor. Three days later they stepped ashore, according to legend onto Plymouth Rock. Behind it is where the town of Plymouth now stands, and indeed the walk from there up Leyden street to the town square is the oldest continually used street in North American. Homes and workshops stood on Cole Hill, closest to the harbor, whereas the military base and church lay further up on Fort Hill where the Old Burial Ground is today. As there were no buildings ready for winter, the passengers had to spend most of their time on the Mayflower that first winter, which provided little shelter from the cold. In fact, the women, children and sick hadn’t left the ship now for as long as six months, when construction started on December 23. Scurvy was rampant, and of the 102 pilgrims who set sail, 45 died during the first winter. In fact only seven of the entire company avoided sickness. It was down to the few who were well to bury the dead. By the end of January the settlement was far enough along to finally begin moving off the ship. During their first encounter there with the Wampanoag, the settlers learned of the local chief, Massasoit, as well as Squanto, who would become essential to the colony’s survival. Massasoit was suspicious of the Europeans, already aware that they had fired upon the local population on Cape Cod, as well as desecrated their graves. It’s generally credited to Squanto for helping negotiate a peace treaty which gave the settlers the native Americans’ blessing in building their town there. It’s also said that the corpses would be propped up at guard posts, disguised as the living when there weren’t enough men to cover all the stations. It was also Squanto who taught the Europeans how to plant corn and survive in the north American wilderness. By the time of what is known as the first Thanksgiving, only 53 pilgrims remained alive, and of those, only four were adult women. Massasoit continued to honor the treaty he had signed with the Pilgrims up till his death. Squanto died of fever in 1622, the last of the Patuxet tribe. 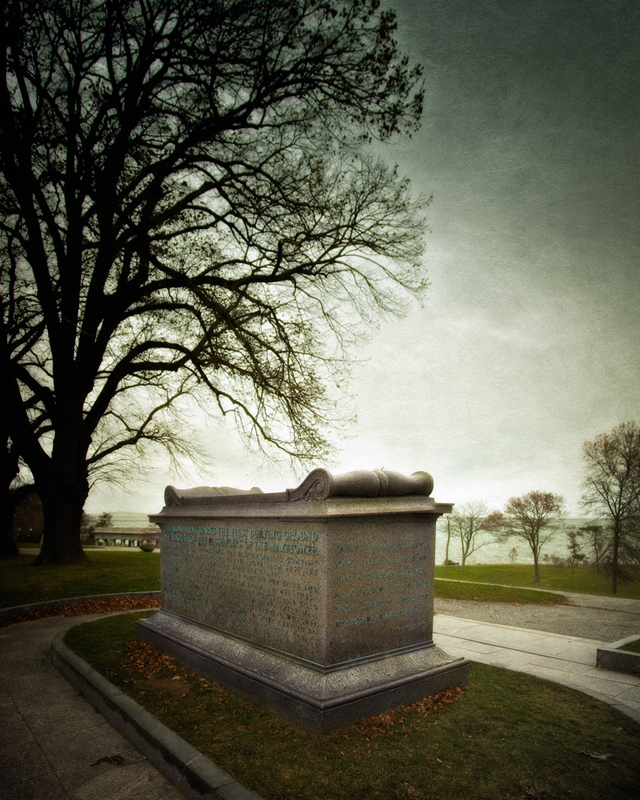 The Sarcophagus in haunted Plymouth on Cole Hill overlooking the harbor contains the recovered bones of the earliest settlers, including 50 or more who died in the first year of the colony. After the first Thanksgiving, tensions would grow increasingly worse between the native Americans and the settlers. A new settlement was started by new arrivals from Europe near present day Weymouth, Mass. When word of a feared native American attack reached Plymouth, Miles Standish, who fired the first shot ever at the Indians in the First Encounter arranged a meeting with two of the native American leaders for negotiation. Rather than negotiating, Standish stabbed and killed them. A later native American leader, Metacom or as he became known, King Philip rose up against the whites and was quickly beaten back and driven into the swampy area of nearby Rhode Island. There he was shot by another native American. His body was taken to Plymouth where it was cut into four pieces and hung from the trees, his head mounted on a spike for over 20 years just off the Plymouth town square. The Trask musuem (white house on the left) was restored to give an insight into the Victorian era of haunted Plymouth, and is now also the location for investigating the paranormal. Next to it is the Old Curiosity and Tea Shop, also believed to be haunted and also available for investigations. Plymouth has grown over the past four centuries, but in the center of town, where European settlement in New England first took root, the past still lingers on. Leyden street which follows more or less the original layout of Plimoth Plantation is lined with colonial era houses and stores, as well as some of the earliest churches and civic buildings. 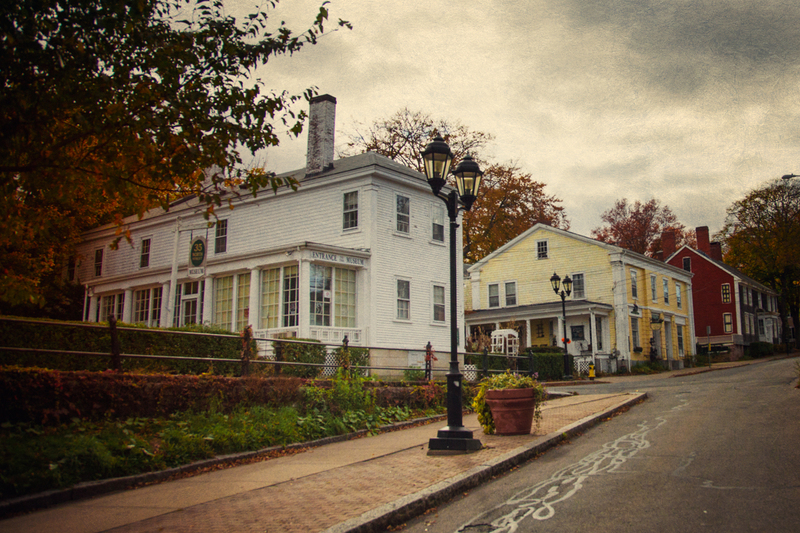 Tourism is a staple of Plymouth, and haunted tourism is going strong. 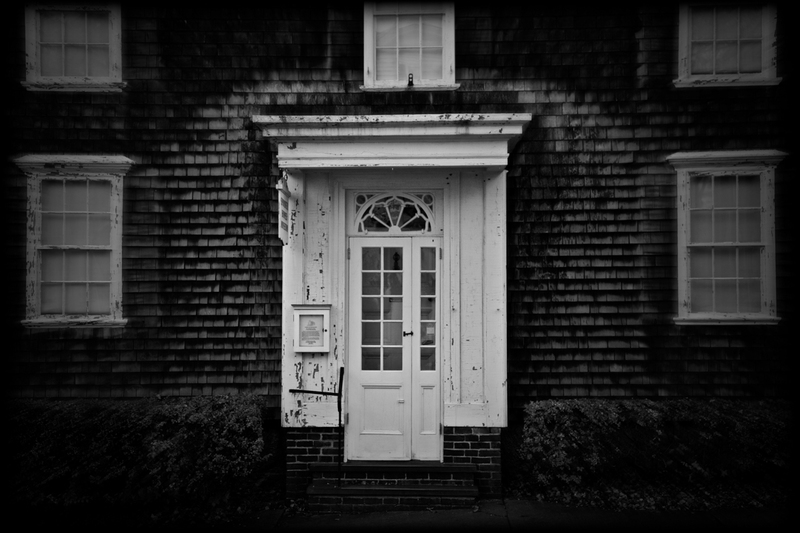 But many of the stories lie behind private doors, where the people of Plymouth, steadfast New Englander’s like to keep their own secrets. A lot of heartbreak and tragedy can go down over 400 years, and Plymouth has seen its share of both. 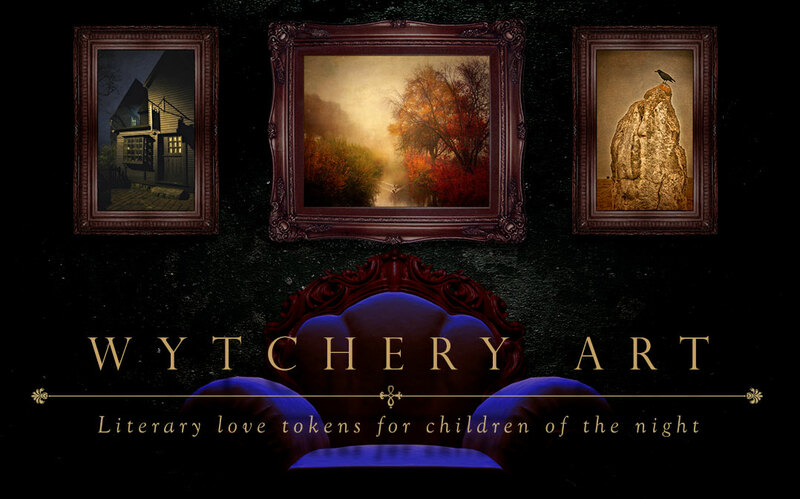 Lee manages to find the seldom told stories of haunted Plymouth, families living in private homes which have been occupied and haunted over the centuries. 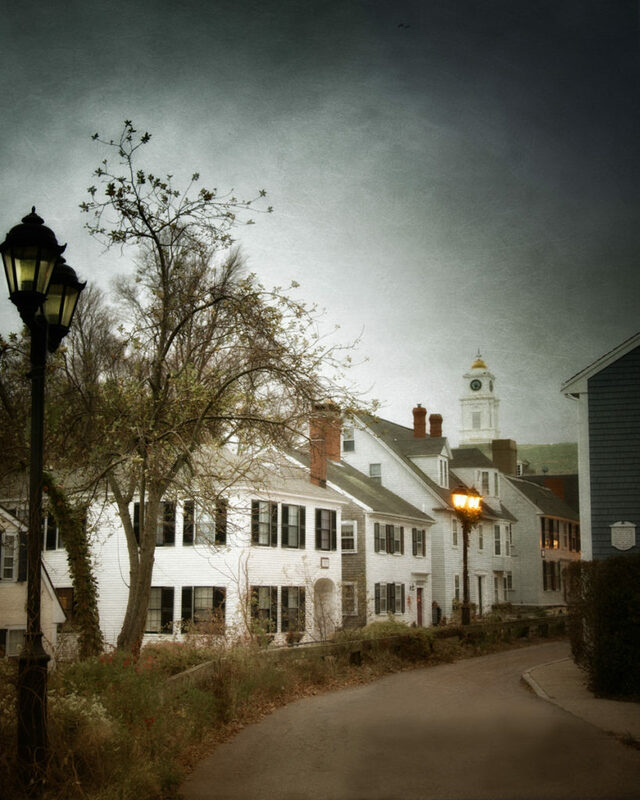 Walking the streets once trod by the Pilgrims and other early settlers, history is stacked atop itself in layers which sometimes seep through, and the atmosphere lends itself to a mysterious and somewhat melancholy mood, for those with a darkened disposition. Haunted Plymouth lays claim to being the only house in Massachusetts which is legally haunted, The Captain Thomas Phillips house, following an 18th century court ruling. The tenants at the time reported doors and windows opening on their own and moved out, as well as other manifestations, spreading their story throughout Plymouth of a former resident who lived beyond his watery grave, aided by the devil. In 1734, the landlord brought suit against the tenants, who made the claim that because of the hauntings, the house couldn’t be lived in. What the court actually ruled was that the tenant’s belief in ghosts couldn’t be proven to be true or false, and therefore couldn’t be claimed as slander. The same devils that were to afflict Salem took hold for a time in Plymouth as well, but with different results. Though witchcraft was punishable by death in Plymouth, as it was in Salem, the only two cases brought to trial led to not guilty verdicts, and fines for those who had brought charges. Lee points to North street as the beating heart of haunted Plymouth. 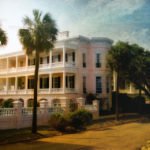 There one finds the Trask museum, which once operated as a historic museum, full of exquisite Victorian furnishings and history. While the current generation of Trasks worked to restore the house, they were frequently interrupted by spectral footsteps, disembodied moaning and groaning and doors opening and slamming closed without the aid of human hands. The museum is now host to ghost investigations open to the public and run by Dead of Night Ghost Tours, which also runs the Old North Street Tea and Curiosity shop, which has its own place in haunted Plymouth. Jan Williams, who runs the tours as well as the shop claims that supernatural occurrences happen on an almost daily basis. Monthly investigations are held in the shop there guests can stay overnight in their own haunted bedroom, in what Williams believes to be the most haunted place in Plymouth. Tables moving by themselves, overnight guess waking to feel an invisible presence’s breath on their face are just some of what have been experienced here. Perhaps the creepiest supernatural resident of Plymouth is Abigail, an eight year old girl who died of an infected tooth in the Spooner House, also a museum now. She has opened the door for people, appears in windows and has even been spotted jumping rope in the alley next door. In what Darcy Lee claims is the most haunted house in Plymouth, a girl’s shoe was found built into the walls. This was a common practice in Britain and throughout Europe in the past, with thousands of shoes being found over the years. It’s believed it was done to prevent hauntings, or visitation by demons, witches and other evil influences. Hidden objects, also called spiritual middens have been found as far back as the choir stalls in Winchester Cathedral in Britain, which were installed in 1308. It’s also believed that these gifts built into the house itself might have been to bestow fertility on the owners, which finds an ancestral memory in the practice of a bride throwing her shoe before leaving for the honeymoon, or tying shoes to the bumper of the wedding couple’s car. Most examples of hidden shoes in the U.S. have been found in New England, heavily settled by the English, who seem to have brought the practice with them. And it could be that these gifts were meant for brownies or hobs, household fairies who could wreak havoc on a home but were thought to be placated by gifts of clothing. At any rate, the shoe didn’t appear to do the trick in placating the spirits in the home. 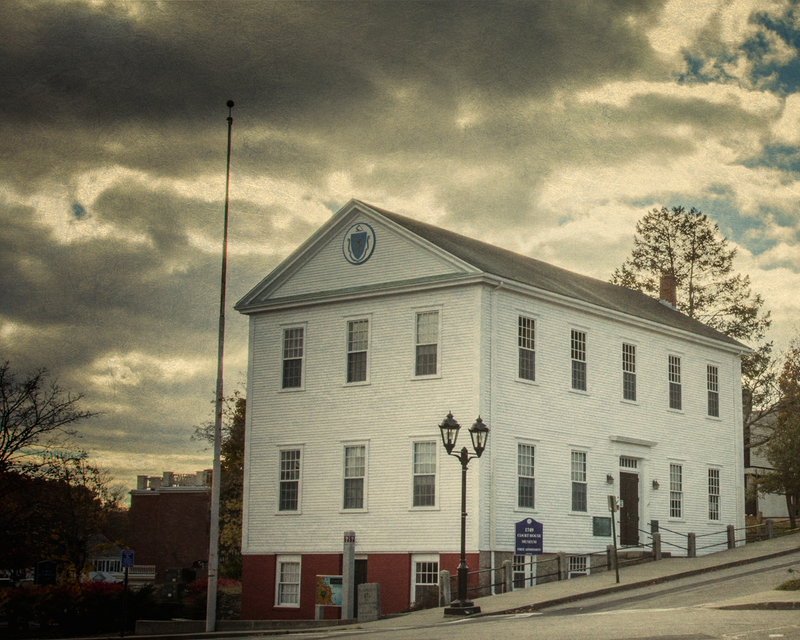 The old courthouse in haunted Plymouth is believed to be the home of spirits from an 18th century shipwreck off the coast. The head and dismembered bodied of native American chief King Phillip was on display here in the town square for two decades. The modern John Carver Inn near the town’s square where King Phillip’s head stood on a pike for two decades is believed to be haunted, thanks to being built on the location of a former house which stood there during the Revolution. It is thought that medical students who once occupied the house were stealing corpses from the nearby Burial Hill graveyard for their own experiments. The old Courthouse in the town square is also thought to have its own ghosts. Window shades are pulled to the side by invisible hands when the building is empty, as though something inside wants to see out. Footsteps approaching when no one is there have been experienced, as well as the sound of melting ice, echoing in the building, which was built in 1749. The waters of Plymouth harbor in storms can be treacherous, as the crew of the General Arnold discovered in the 18th century when it ran aground in freezing weather, resulting in the agonizing death of most of her crew. That sound can be traced to the unfortunate story of the brigantine General Arnold, which became trapped in the ice in Plymouth harbor and sank in 1778. 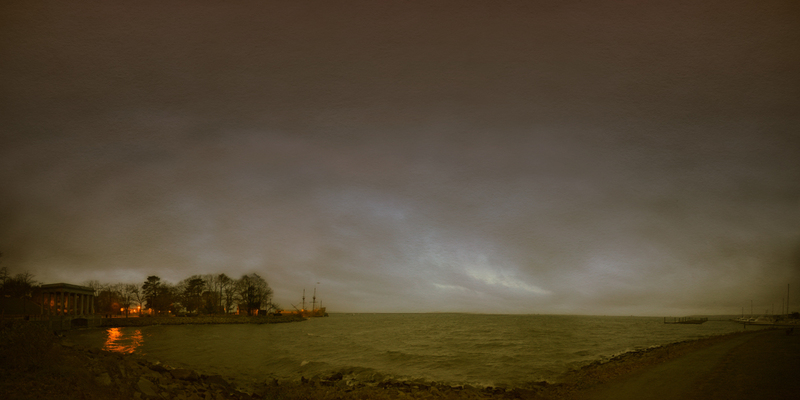 The ship set sail on Christmas Eve that year, only to find itself in a blizzard on the open sea. Captain James Magee steered his ship into Plymouth’s harbor, only to find that the blizzard prevented any pilots from coming to their aid to guide them safely into the harbor, and avoid the shoals and sandbars which would cause the ship to run aground. 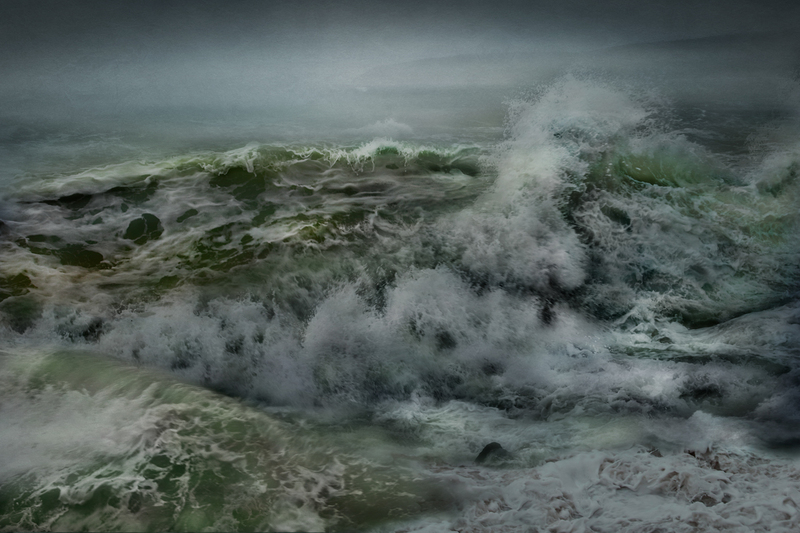 Desperate, they tried to reach the harbor but ran aground with the tide, splitting the ship’s seams. The crew was forced to ride out the storm with little shelter and no heat. When the people of Plymouth saw the ship and realized their fate, they came up with a plan to reach the sailors. Lashing together ice flows they built a causeway to the ship, but when they reached the half submerged ship, they found that 70 of the crew had already died, and of the 33 who were still alive, 9 of those died on shore. The courthouse was used as a temporary morgue, and some of the bodies had to be lowered into the town brook to thaw the bodies. They were interred in a mass grave on Burial Hill. Captain James Magee survived the ordeal, but requested that on his death he be brought back to Plymouth and buried with his lost crew. His ghost is still spotted in the graveyard, along with the unfortunates who perished in the harbor, one of the largest contingents of spirits in haunted Plymouth. Burial Hill in haunted Plymouth is known for the ghost of the captain of the General Arnold who still watches over his lost men, a Victorian couple mourning their lost daughter, native American spirits and others. The graves on Old Burial Hill date back to the 1600s, though most of those are now lost as they were carved of wood. It sits on the site of what was once Fort Hill, where the Pilgrims built their fort and meetinghouse. Some of those first residents are buried there, including William Bradford, as well as the last surviving passenger who came over on the Mayflower. It sits atop Leyden Street, which once ran through Plimoth Plantation, the first European street in the new world. The most evoked spirits in haunted Plymouth are a Victorian couple who visit Old Burial Hill to pay respects to their lost daughter. The sadness of the pair is said to be overwhelming and they’ve been spotted walking the pathways and approaching the graveyard from Summer Street. Once the sun goes down, Burial Hill becomes the province of the paranormal with apparitions such as Pilgrims and Victorian-era parents kneeling at their children’s graves frequently spotted. Some say the cemetery is haunted by a husband and wife who lost their two-year-old daughter, Ida Elizabeth Spear. The Victorian couple is said to visit their daughter’s nearby grave, approaching from Summer Street. A descendent of the original Mayflower company, Thomas Southward Howland is buried there as well. In the 18th century, Howland began to evict an old woman who was living in a shack built on land he owned. The old woman turned out to be a witch, who was given the name Mother Crewe who placed a curse on him, “Make your peace because you will not live to see another sunset. They’ll dig your grave on Burial Hill.” She was wrong, he did live to see the sunset. But the next day he was thrown from his horse and killed. Another native American spirit given the name of Mary also frightens people on occasion, pacing the stairs facing the town square and occasionally coming after visitors. Geoffrey Campbell who operates Plymouth Night Tour, believes the Old Burial Hill is the home of a native American cryptid, which they called a Pukwidgie, similar in nature to a Brownie or other European fairy. Mentioned in Longfellow’s poem The Song of Hiawatha, it’s described as possessing abnormally large ears, nose and fingers, and smooth grey skin. Campbell claims to have seen three of them dancing around the graveyard, and hiding behind the grave of the sailors from the General Arnold. All these spirits and ghosts remain a mystery and likely always will. Today life in the town is much easier, less prone to sudden tragedy, and yet there are still ghosts being added to the pantheon of supernatural mysteries which haunt Plymouth to this day.